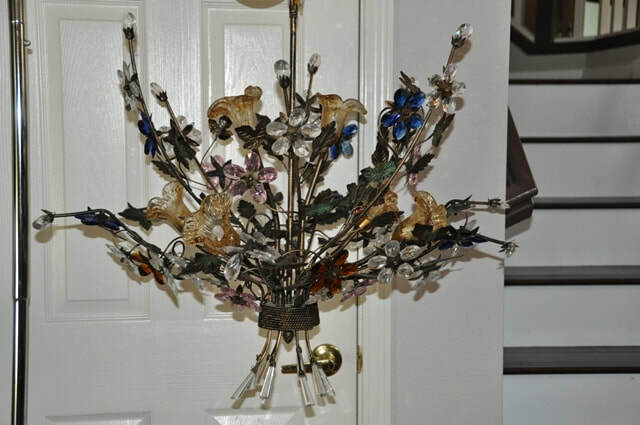 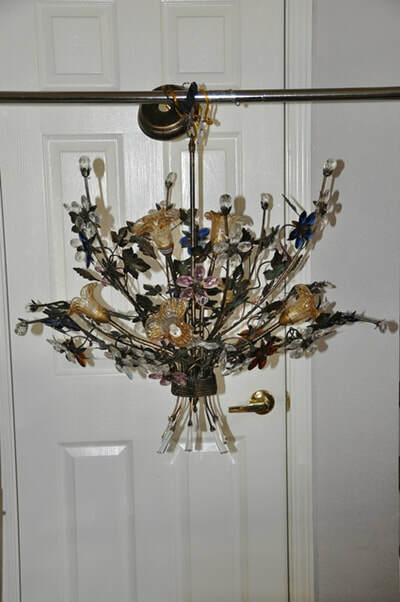 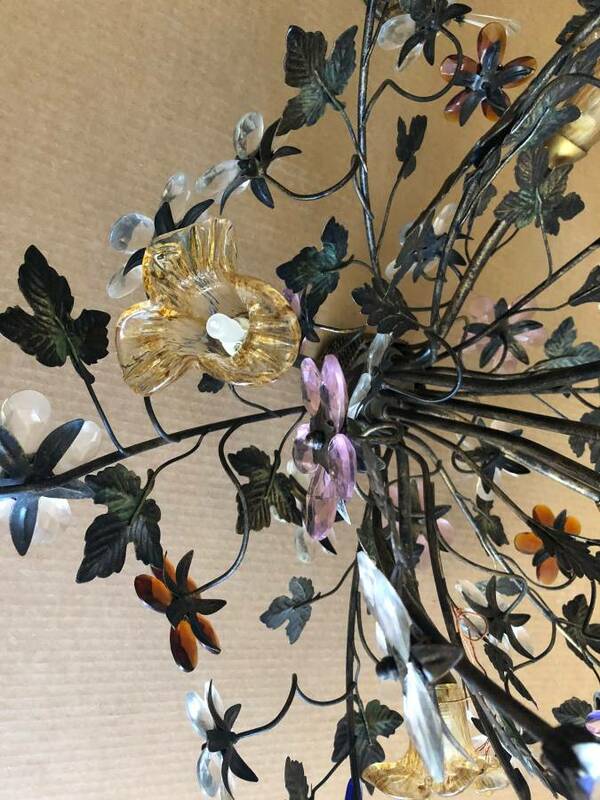 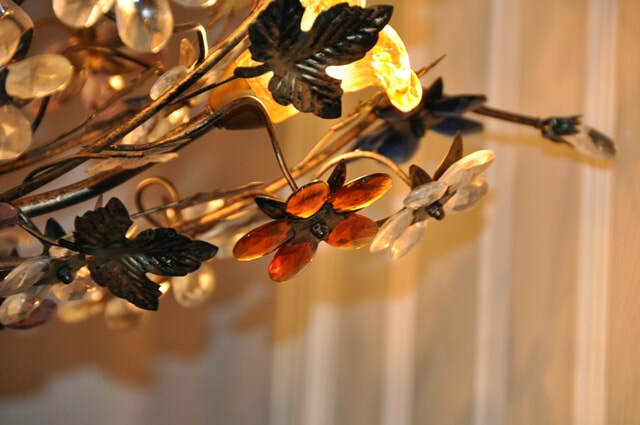 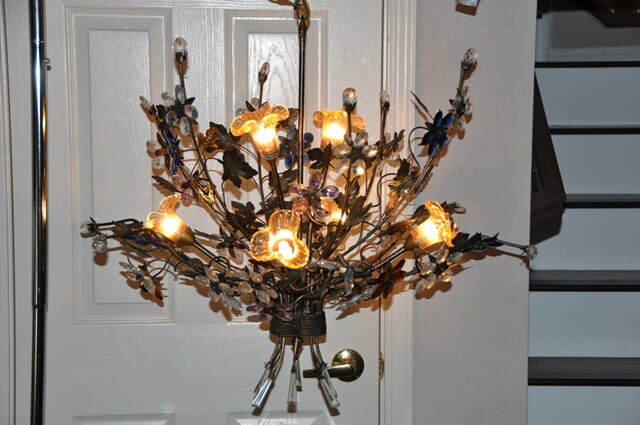 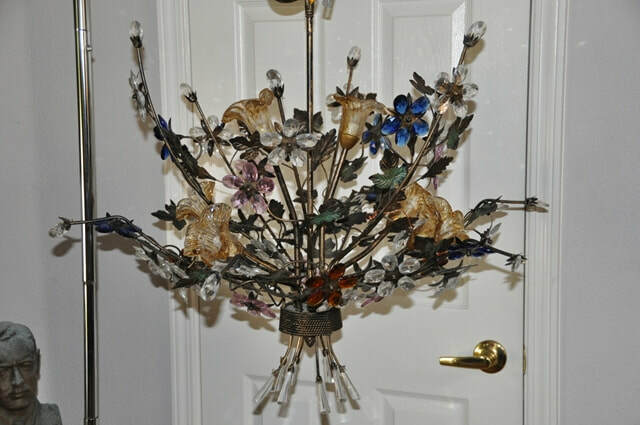 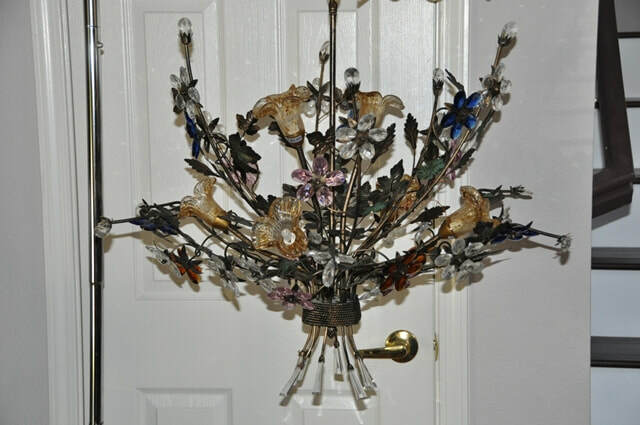 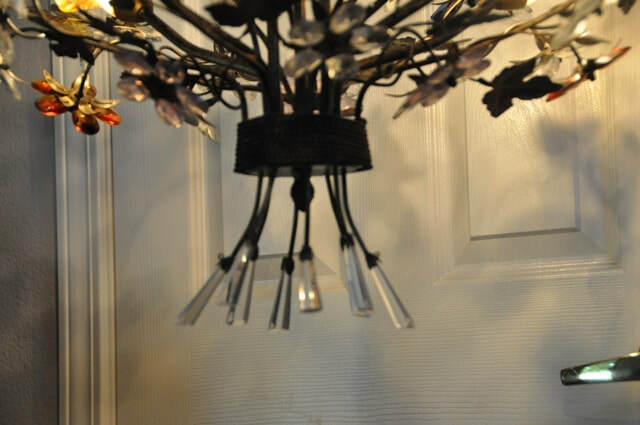 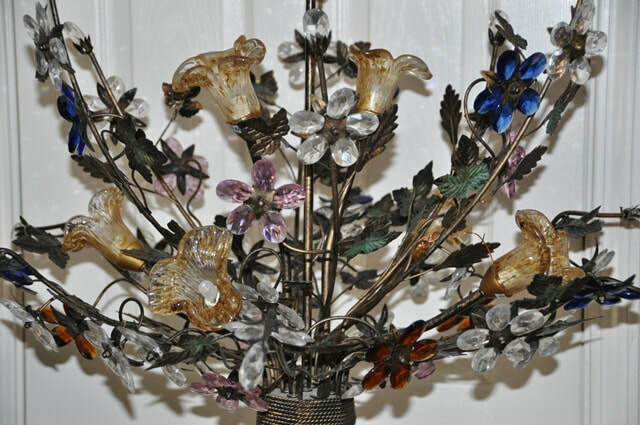 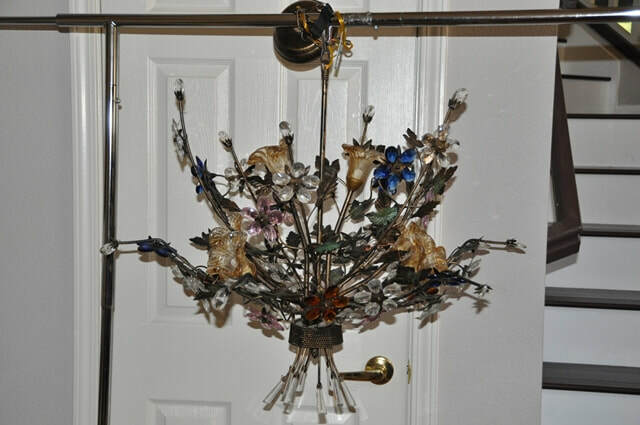 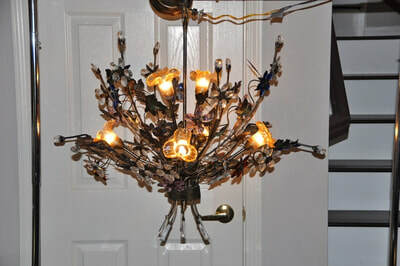 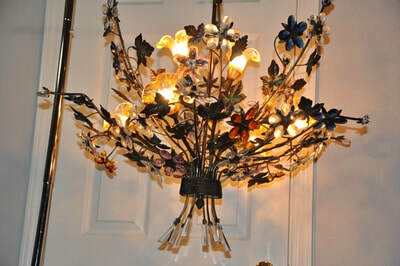 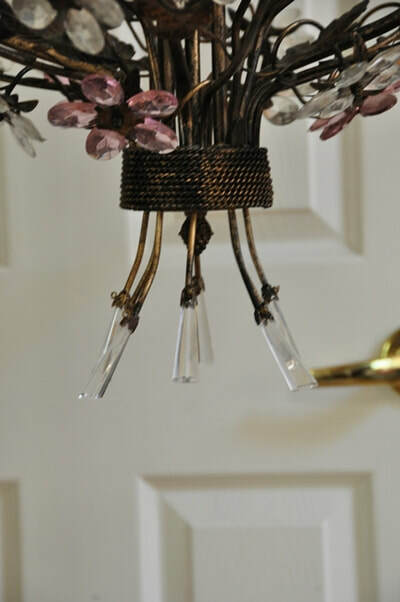 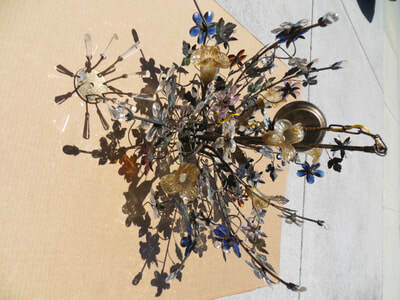 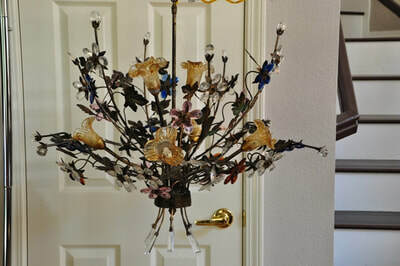 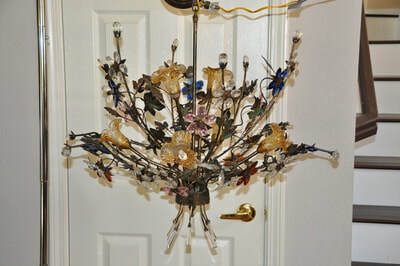 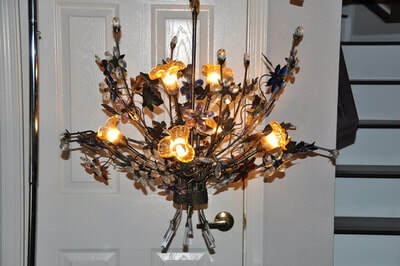 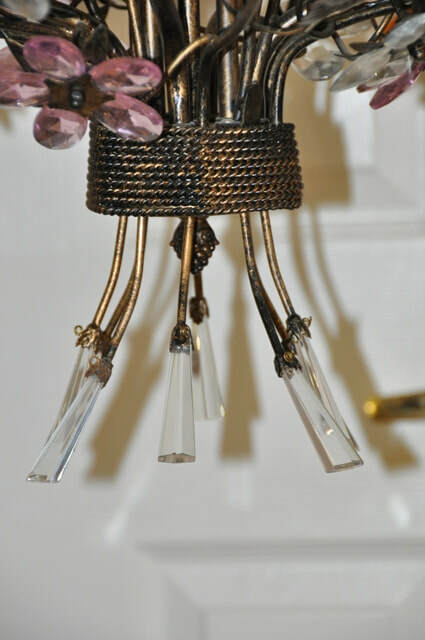 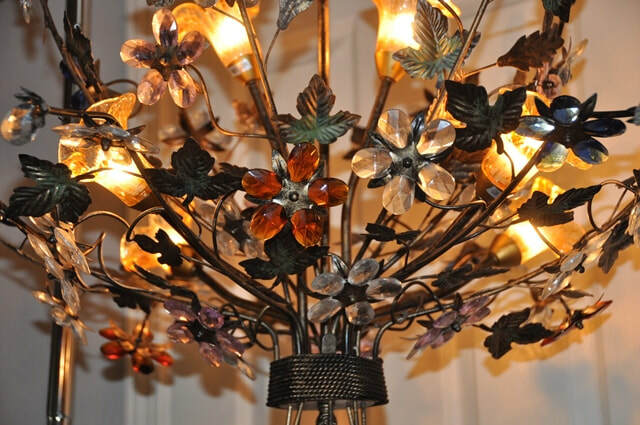 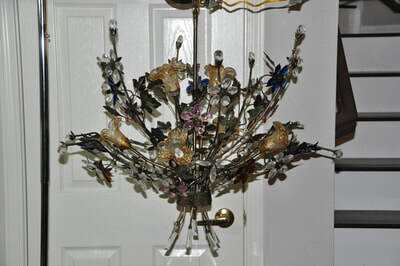 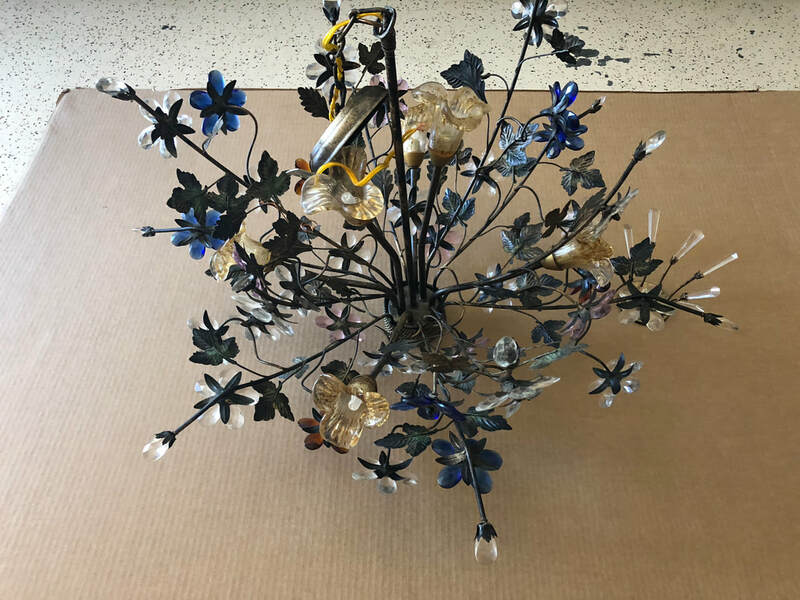 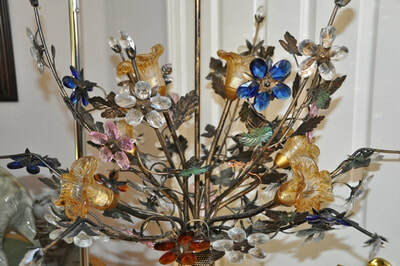 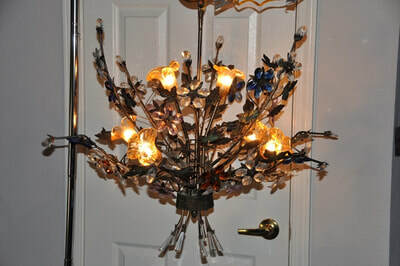 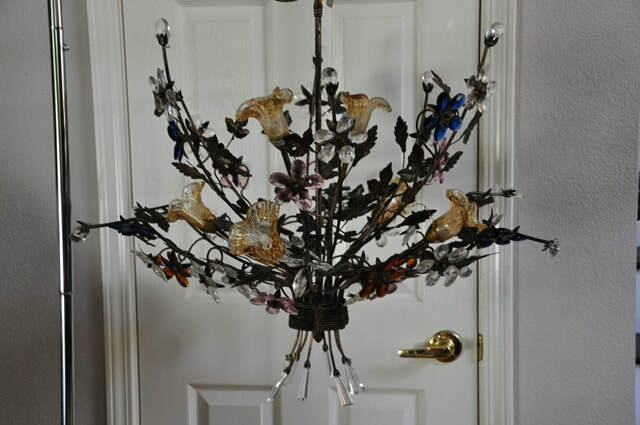 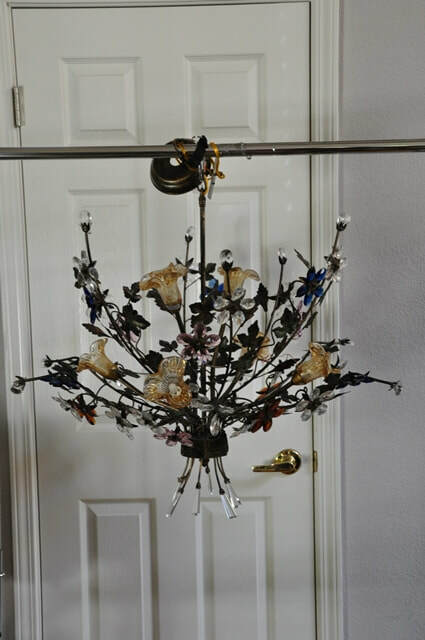 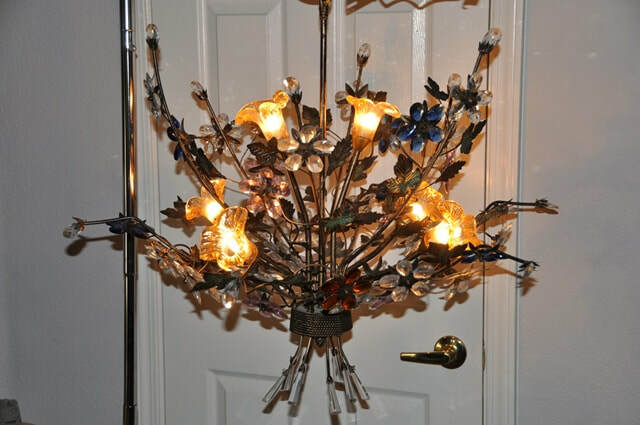 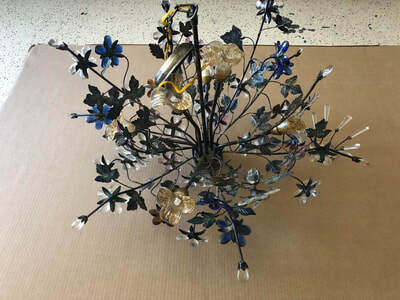 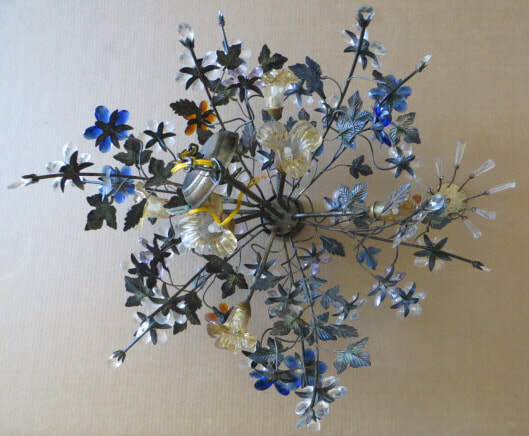 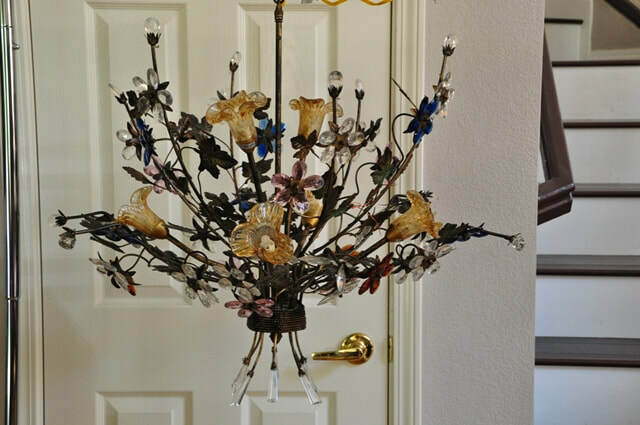 This is a glass chandelier in the form of a bouquet of flowers with tole leaves and vines. 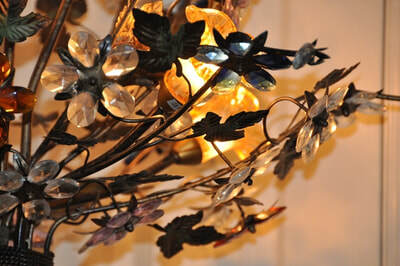 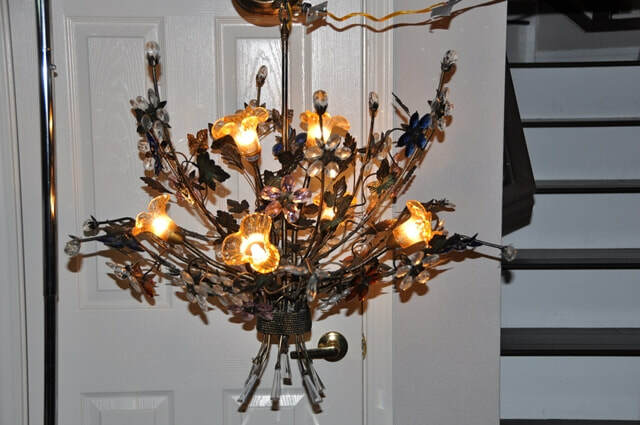 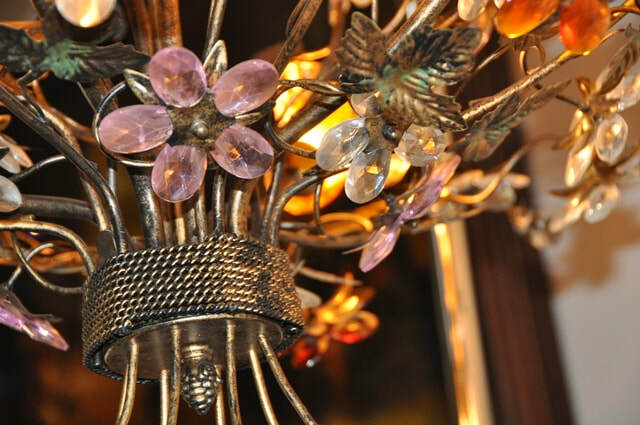 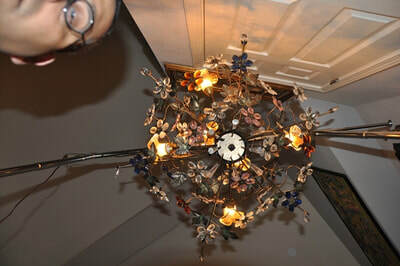 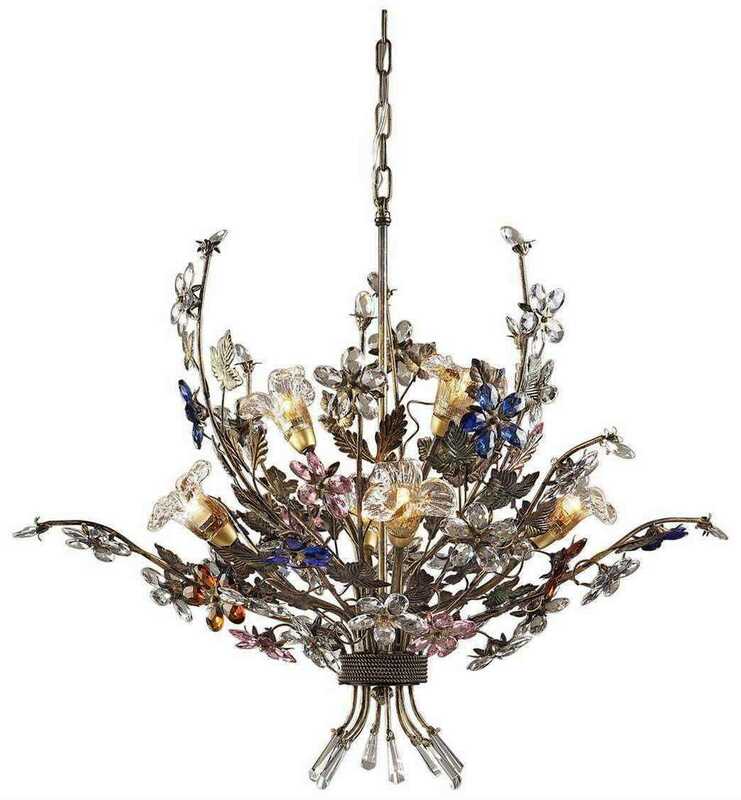 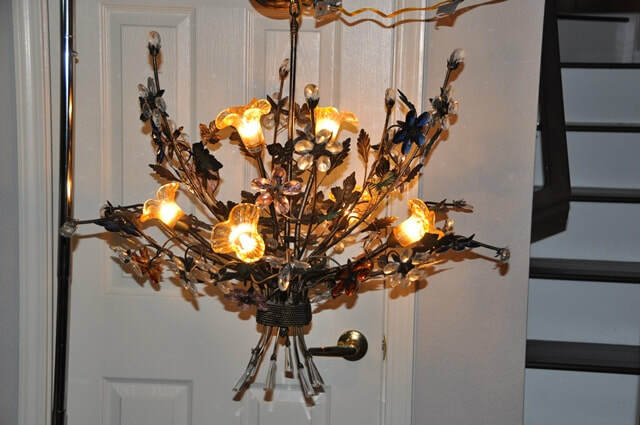 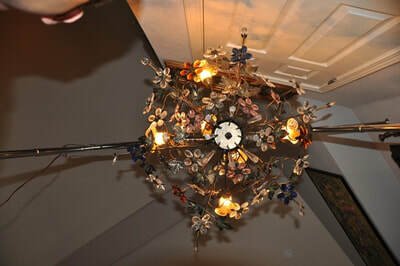 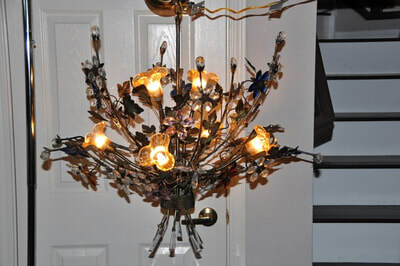 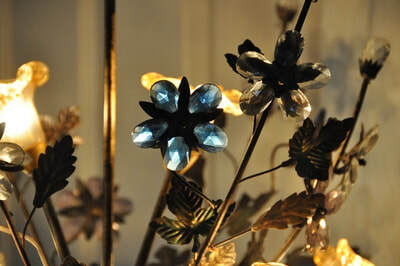 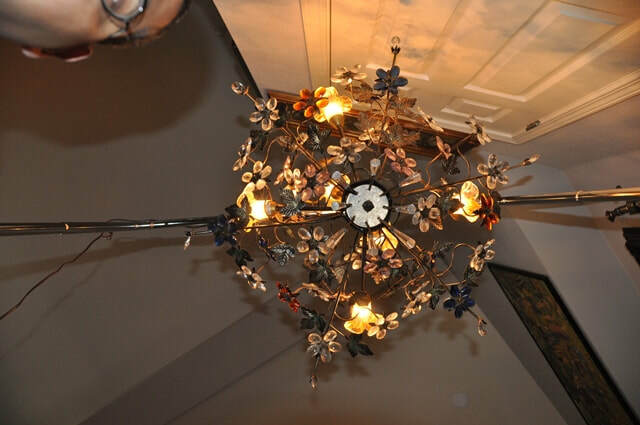 The chandelier has 6 lights and many multicolored cut glass crystals forming flower petals and buds. The vines seem to grow naturally in various directions. 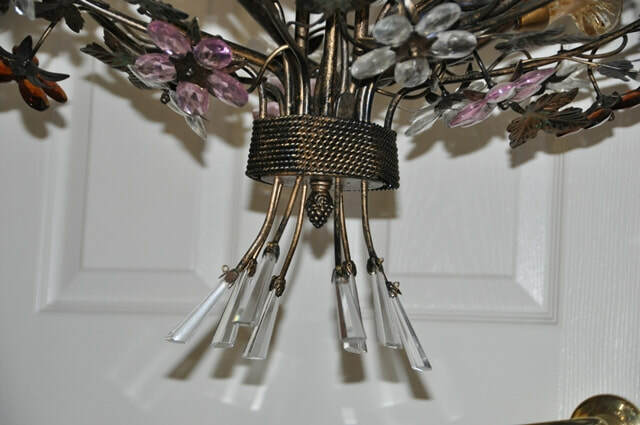 The cut crystal tips on the ends of the vines representing flower buds resemble drops of rain. 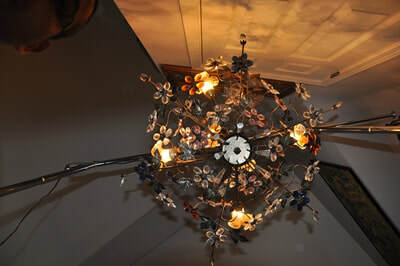 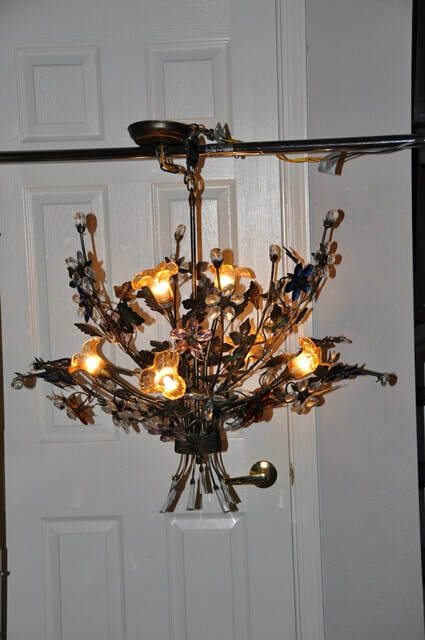 The chandelier is about 32" in diameter, 26" tall and weigh about 14 lb.